After leaving Nebraska we made our way up to Cheyenne, Wyoming, for a night, before heading south into Colorado and then west to Utah. Moab, Utah, was a highlight of the trip. The weather was absolutely perfect, and the intense red sandstone against the azure sky was a revelation. 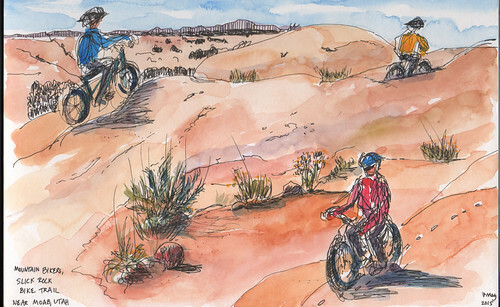 Moab is a cyclist’s paradise, with its expanses of slick rock and challenging singletrack. 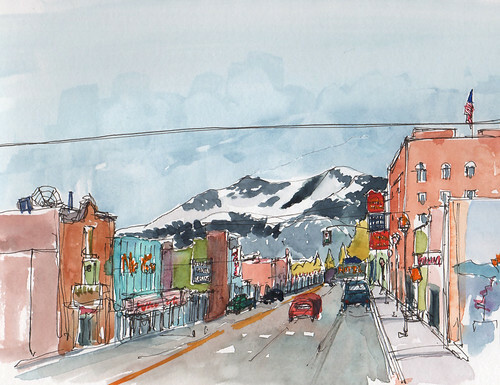 Ely, Nevada, is mostly a waystation on Highway 50, dubbed the “Loneliest Road in America.” I sketched its main drag just before the sun went down and the casinos lit up below the snowcapped mountains. By the time we got to Eureka, it was raining. 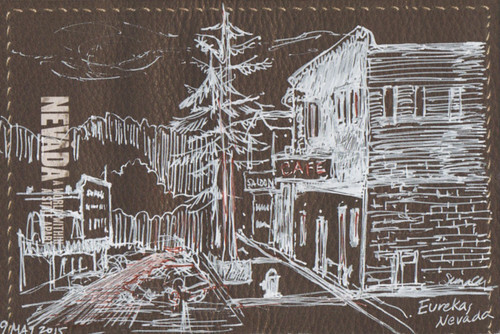 While M. went in search of coffee, I tore out a page from the “official guide” to Highway 50 and tried to capture the mood with a white gel pen. 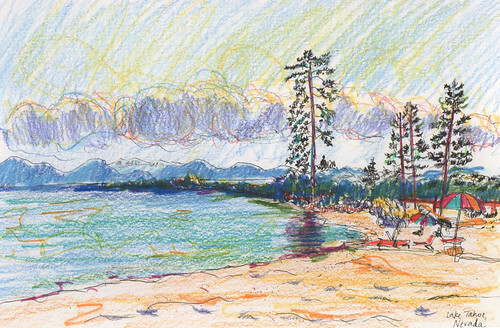 Our last stop in Nevada before crossing the California state line was Lake Tahoe. We marveled at the clear aquamarine water and, after all that rain, bright sunshine! 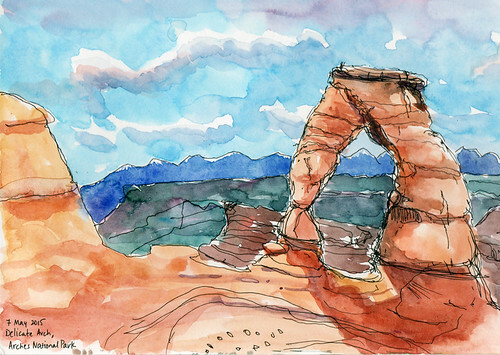 The sketch of the red sandstone against the sky is perfect! That is just what I think of when I remember that part of the country. Nice sketches...the one with the white gel pen looks like you took a step back in time.